When you’re walking down the hallway at Cambria-Friesland school, it’s not uncommon to see students and faculty in the halls. It’s also not uncommon to see a four-legged friend wearing a collar and wagging his tail. Bernie is an 8-year-old terrier mix, and he spends his days in his favorite place: the Cambria-Friesland school. He belongs to Tim Raymond, District Administrator, and he was originally a rescue from the Dodge County Humane Society. Bernie was having a hard time adjusting to his new life after adoption, so Tim decided to bring him to school with him. As soon as he arrived, the kids were naturally attracted to their furry new comrade, and he was just as enthralled with them. It didn’t take long to discover that this was the ideal lifestyle for Bernie; he could have six elementary kids petting and hanging all around him, and he just sat nicely and licks their faces. It’s clear he enjoys the interaction as much as the students. In fact, it’s more than the elementary kids that like having Bernie around. “All students, staff, and even guests at school seem to be in a better mood when Bernie walks by and they take a moment to pet and give him a little attention,” Tim explained. He added that struggling students find extra comfort in petting Bernie and interacting with him as they work through issues. More than once, adults have done the same thing. No matter their age, Bernie seems to have a calming effect on everyone. The best part is, Bernie loves his job! He skips, jumps, and dances all around when he arrives at school in the morning. “At home,” Tim adds, “he will sit at my feet while I’m getting ready to go to school as if to say, ‘I’m ready, aren’t you?’” He’s always excited to see his friends at school and spend time with everyone. Since Bernie was adopted from a shelter without the original intent to bring him to school every day, the Raymonds had to work to have him registered as an emotional support animal. They also plan to train him as a therapy dog. This is becoming more common these days as people recognize the importance of integrating animals into society. “Animals bring out something in us that’s good,” says Tim. 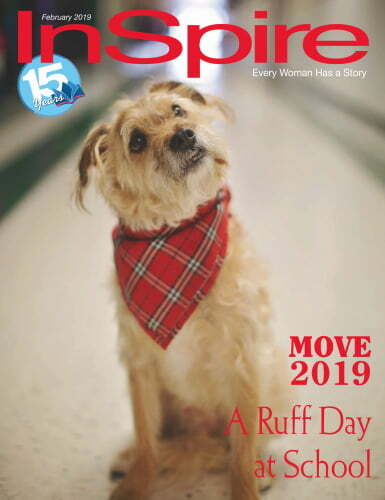 “They calm us, give us attention, and considering how too many kids don’t have the attention they deserve at home, emotional support and therapy animals make a difference.” As more people realize this, the number of schools with support animals is growing across the state. Tim explained that the most surprising part about bringing Bernie to school was not how quickly he connected with the kids, but how adults began finding comfort in being around him as well. 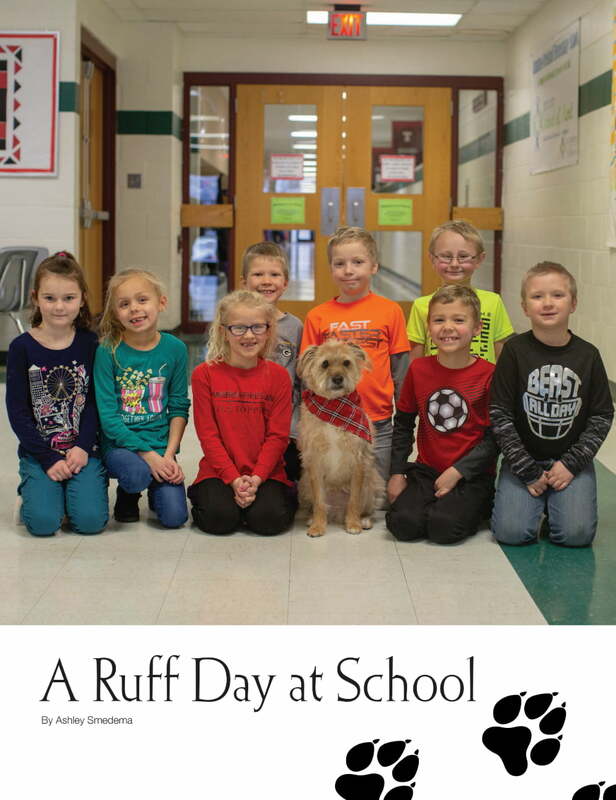 There’s something about Bernie that makes everyone’s day a little brighter, and he’s quickly become a treasured part of the Cambria-Friesland School District!